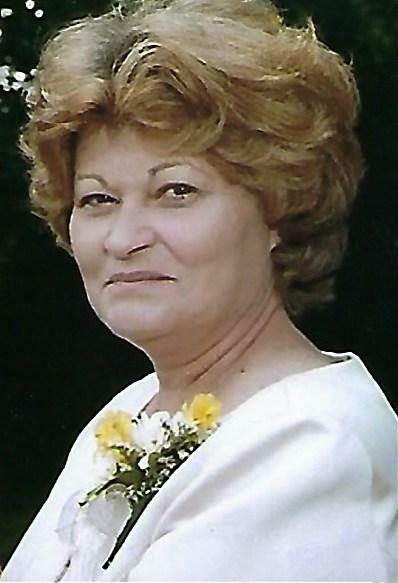 Pamela S. Staley, age 71, of Saint Paris, passed away at 10:20 a.m. on Wednesday, July 4, 2018 in Genesis Troy Care, Troy. Born on June 6, 1947, in Springfield, OH, Pam was a daughter of the late Warren H, and Jane (Mitch) Holloway. She married Earle Staley on April 20 1979 and he preceded her in death on January 28, 2013. Pam is survived by her three children: Penni Zerkle (Rhett Laughman) of Saint Paris, Robert (Beverly) Hall of Troy, and Stevan Staley of Saint Paris. Six grandchildren also survive: Alex and Natalie Zerkle, Graham and Grace Hall, and Kylee and John Staley, and two brothers: Dennis (Pat) Holloway and Stevan (Mitzi) Holloway both of South Vienna, OH. In addition to her parents and spouse she was preceded in death by a son-in-law, David Zerkle and a sister-in-law Sandy Holloway. Pam was a 1965 graduate of Northeastern High School, Springfield. She formerly worked as a deputy with the Clark County Sheriff’s Dept. and she retired as an activity director with Holiday Inn, Sidney. A graveside committal service for Pam will be held at the convenience of the family in the South Vienna Cemetery. Atkins-Shively Funeral Home, 216 S. Springfield Street, Saint Paris, Ohio is serving the family. Donations in memory of Pam may be made to Pink Ribbon Girls, 15 South Second Street, Tipp City, Ohio 45371. Condolences to the family may be made at www.shivelyfuneralhomes.com.